Tip-off time is scheduled for 12:00 PM ET and according to ESPN’s Basketball Power Index, the home side have a 94.7 percent chance of winning this game. Duke (18-2, 10-1 Home) enters this game on a four-game winning run and recorded an 83-61 victory over Notre Dame on Monday night. 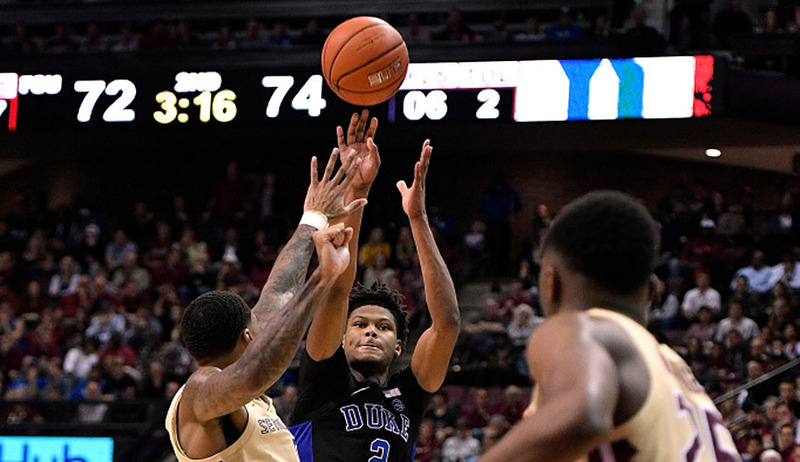 The Blue Devils have the longest active streak in the NCAA when it comes to non-conference home wins at 146 consecutive and the college basketball experts are backing Mike Krzyzewski’s side to improve that record on Saturday. Notably, though, the last time Duke dropped a non-conference home game was against St. John’s on February 26, 2000. The Red Storm (16-5, 3-3 Away), meanwhile, are seeking their second win against an AP ranked team this season after beating the then-No. 16 Marquette earlier this term. Chris Mullin’s side is coming off an 83-67 win over Creighton on Wednesday night. Individually, Duke freshman RJ Barrett leads the ACC in scoring at 23.6 points, while fellow freshman star Zion Williamson is also averaging more than 20 points per game, at 22.0. Another Blue Devils standout is freshman Tre Jones, who is the nation’s only player averaging 5.0+ assists, 2.0+ steals with a 5.0+ assist-turnover ratio. For St. John’s, the team is led by junior guard Shamorie Ponds, who is averaging 20.9 points per game and has scored 20 or more points in seven straight played games. In the win over Creighton this week, Ponds had 26 points, eight rebounds, eight assists and six steals. Duke leads the head-to-head series against the Red Storm 16-7 and won two of the last three and nine of the last 11 games. However, St. John’s knocked off the Blue Devils last season at a sold-out Madison Square Garden, 81-77 with Ponds scoring 33 points for the Red Storm.